Day walk in Altmühltal Nature Park, Bavaria (August 2012) | Where's Zoe now? Another catch-up post of the “where was Zoe?” variety. I spent a week in Germany last summer, and one day I went for a walk in the countryside. The most fabulous hikers ever? I set off quite early, leaving my hostel in Nuremberg at 9am to catch a train to Treuchtlingen. 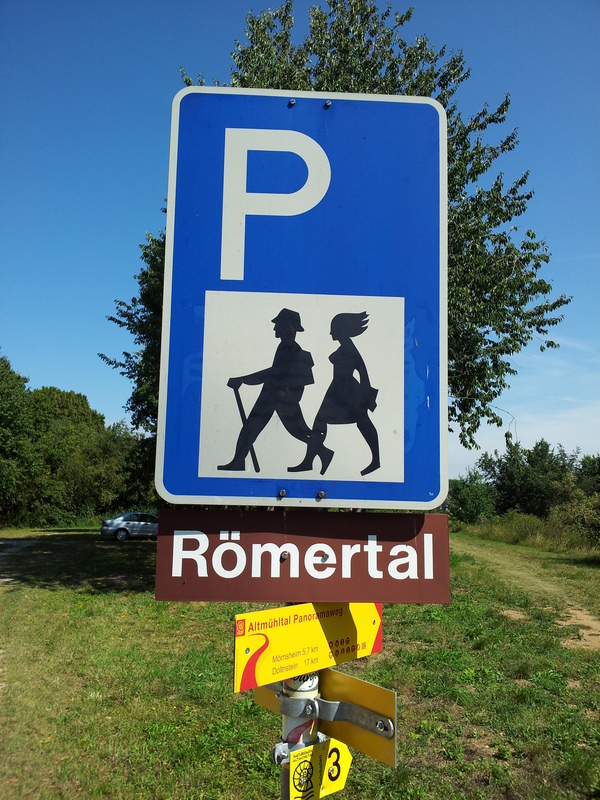 I’d seen on the internet that there are hiking and walking trails between a series of villages in the Altmühltal Nature Park, but that was about all the planning I’d done — in fact, Treuchtlingen was earlier than I’d intended to get off the train, but I saw a bunch of hikers and cyclists get off there, and I figured they were probably onto something. Google maps suggested the walking trail was always close to a local railway line, so I figured I’d walk until I got bored and then hop back on the train, probably around lunch time. As it was, lunch time came and I’d walked maybe 10km, mostly over low hills, along the edges of fields with little patches of woods for the occasional bit of shade. So there I was, sitting next to a village bakery, munching away on the apple cake I’d bought, and feeling a bit like a hobbit what with all this Shire-like farmland and good food. And I thought, “why not go on to the next town? There’s a train station there too, it’s only 6km away, and it’s a beautiful day.” So on I went. 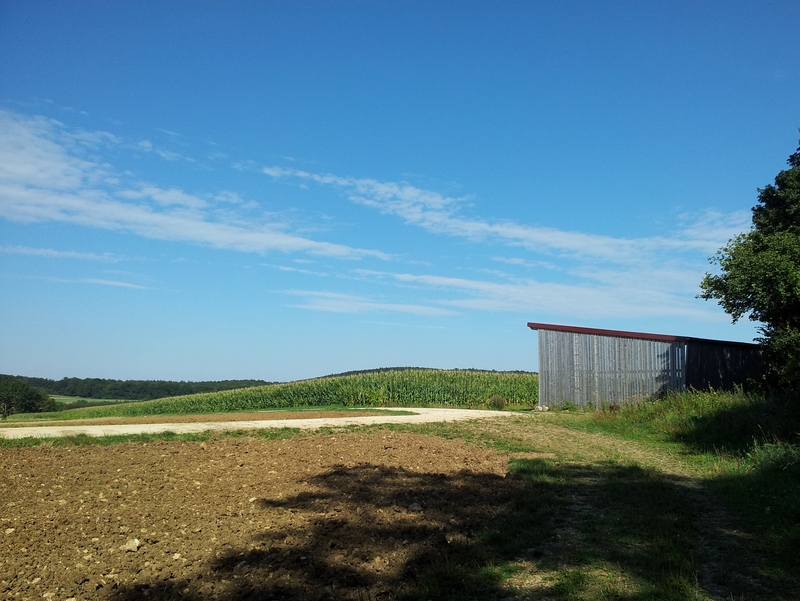 Farmland, blue skies, sunshine, ahhhh. If you’ve hiked much, you can probably guess how this goes — on flat ground, as long as you keep moving, you don’t quite notice that you’re tired until you stop. I think I said “one more village” about 3 times, until suddenly it was late afternoon and I was exhausted. And slightly sunburnt (oops). In all, it was a great walk: the train stations every 5-10km made it low-commitment, the walking was not at all strenuous, but the scenery was very pretty, and the trail was low-traffic enough to feel like the world was your own, without feeling isolated. I’m glad I ended up giving it a whole day — it really made my week’s holidays in Germany feel like a proper break from my city routine. This entry was posted in Germany on February 9, 2013 by Where's Zoe Now?.